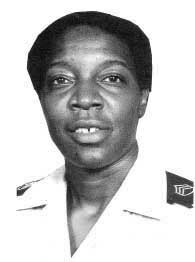 Mary Davis was born in Fort Gaines, Georgia in Clay County in 1948 to young parents who were determined to give her the advantages they didn’t have. Thanks to their persistence, she graduated from high school, and then she broadened her horizons with the US Army, which furthered her education and gave her the opportunity for international travel. After an honorable discharge and retirement from the Army, she returned to her home town. Born in the segregated deep South, Mary Davis grew up in a world where she was unwelcome, except in the black community. Even as a child, she was unwilling to accept the idea that she was inferior in any way—and her life journey has been a continual testament to her remarkable capacity for achievement, integrity, and honesty. From the cotton fields to boot camp barracks, from pursuing educational goals to seeking justice in her own home town as a private citizen, from rejecting racism aimed at her parents to standing up for her rights against continuing prejudice, Mary has always provided an example of diligence and honor. 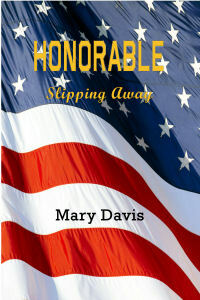 Travel with her from the Jim Crow laws to a new world in the US Army, and then back again to the outdated attitudes of the deep South…and stand with her as she faces life on her own uncompromising terms. Haji Razmi was born in Kandahar-Afghanistan. He went to the School of Law and Political Sciences, Kabul University. While employed at the Foreign Ministry of Afghanistan, he earned the certificate of graduation from the Institute of Diplomacy. He worked for four years as a diplomat at the United Nations in New York. Utilizing a UN fellowship, he earned the certificate of attendance of the 1990 full summer sessions of the International Law Commission in Geneva and of the International Law Academy of The Hague. From 2010 to 2014 he taught Pashto language at California State – East Bay and Stanford Universities. He is the author of Afghans Don’t Cry – a collection of short stories. He works and lives in the San Francisco Bay Area. “Even if the sky falls to the ground, even if the whole world begs me, and even if all the people in the city and in the country kiss my hands and feet, I swear to God, I swear to the Prophet and I swear to the Quran that this cannot and will not happen, you all know me very well, when I say no to anything, that thing cannot be done even if it costs my life. If my son is really my son, he will never be able to do this. I am known in the whole world, from here to London, from Pakistan to America, as a hero of Jihad, so tell my son not to mess up with me…” This novel takes you on a fascinating journey into the moral, cultural, social, political and historical lifestyle of a nation where both ancient and modern empires and super powers; Alexander the Great, Genghis Khan, the Mogul Empire, Persian Empire, the British Empire, Sikh Empire, the Soviet Union and finally the richest country in the human history, the United States of America adventured but lingered in knowing the uniqueness and the real convolution of its way of life. This novel takes you deep down to that point of the journey where I bet you have never been. 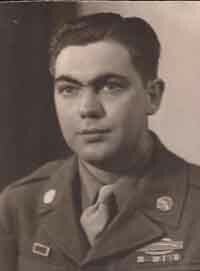 Born in Uniontown, PA, in 1927, James A. Sagerholm graduated from the Baltimore Polytechnic Institute in 1946, and enlisted in the Navy. In 1948, he received an appointment to the Naval Academy from the Secretary of the Navy, graduating ninth in the class of 1952. Saw action in the Korean War aboard the cruiser Rochester during the campaigns of 1952 -53 that led to the truce of 1953. Had additional service in coastal minesweepers, destroyers, and nuclear submarines, commanding a ballistic missile submarine from 1968 to 1971. 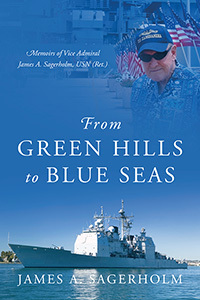 While ashore, he served in naval intelligence, and later, as a rear admiral, worked on Navy budgeting and programming on the staff of the Secretary of the Navy. He commanded the South Atlantic Force, making two circumnavigations of the South American continent, and instituted the first West African cruise in 1978. Following a year in the Reagan White House, he was Chief of Naval Education and Training. He retired from active duty on 1 November 1985. He lives near Annapolis, Maryland. On a spring day in 1944, while visiting the Naval Academy to compete in a track meet against the Navy plebe team, 16 year-old Jimmy Sagerholm fell in love with the Naval Academy and the Navy. He resolved then to be a midshipman and a naval officer. This is the story of how he did just that, culminating in a career spanning 39 years, and retiring in the rank of vice admiral. 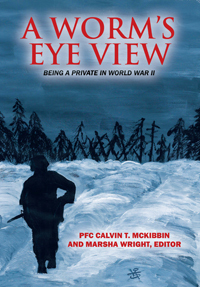 He enlisted in 1946 and retired in 1985, during which time, some experiences were typical of Navy life, while others were unique, experiences that he shares in this, his story.